". . . well a lot of people move. They left years ago looking for better jobs. They went north and west and they didn't realize they was leaving a beautiful heritage, but it, you can't blame them for looking for a better life, but it's a small community now, compared to what it used to be . . . "
Barbara Pope talks about growing up in the Rosedale community. Barbara Pope talks about the highway that split Rosedale, the ball diamond, and the freeway (Red Mountain Expressway) that was built over the ball diamond. Barbara Pope talks about how many members of the Rosedale community have moved elsewhere. She recounts how long she’s lived on her property, and her close relationship with the Lee family. She recalls her grandfather’s career as a calligrapher, and mentions some common Rosedale activities, such as swimming at Spring Park. Barbara Pope recounts Rosedale’s annual May Day celebration. She lists some common childhood games and discusses Rosedale’s enduring neighborhood identity. Barbara Pope talks about some of the businesses in Rosedale, including Afton Lee’s Store, E.P. Montgomery’s Store, Ms. Karen Johnson’s in-house restaurant, and Old Man Shides’s business selling canned goods off a wagon. Barbara Pope recalls the wall dividing the black community from the white. She talks about the principal of Rosedale School, B.M. Montgomery, and about her experiences taking care of her blind grandfather. She also discusses various modes of transportation in Rosedale and places in Birmingham they often visited. Barbara Pope talks about her involvement in various sports, from softball to football to basketball, in the Rosedale community, first as a young girl, then as a mother coaching her children. Barbara Pope recounts her memories of church in Rosedale. Barbara Pope discusses Rosedale’s relationship with other communities in Homewood. Barbara Pope describes the Rosedale reunion and the food she and others prepared for the celebration. She goes on to emphasize the sense of community Rosedale fostered in those who grew up there. BARBARA POPE: --trying not to be funny. I said "Don't call me that. Just give me some time." Oh, I was getting, I was renting this place for my granddaughter and they needed my bank statements and so she asked me for my cell number, so when they got ready, she, I forgot, I couldn't think of my number. I told, I said "Give me twenty minutes. I'll be at home, you call me on my house phone" but then I finally thought of my cell number and they laughed at me and I thought "Oh my God." CHASE TRAUTWEIN: Hey it happens to everybody, I think. BARBARA POPE: You just, you just keep living, you'll know what I'm talking about. CHASE TRAUTWEIN: I believe it, um, but I guess to start off with some background information, um just to tell me when and where you born? BARBARA POPE: I was born, well I was born February the twentieth, 1938. I was born three blocks on Nineteenth Place, over in Rosedale. CHASE TRAUTWEIN: OK and were your parents from Rosedale originally? BARBARA POPE: No, my parents were from Marion and my grandfather moved here in the early 1900s and I think my mother and father came in 1919 or 1921. I'm not for sure but it was along that time. CHASE TRAUTWEIN: OK and what did your parents do as a job or for a living? BARBARA POPE: My father was an elevator operator for Alabama Power and he painted and he, I don't know how you put it, he put coal in the furnaces for some of the white people and my mother sewed. CHASE TRAUTWEIN: OK and did you have, or do you have brothers or sisters? BARBARA POPE: I had two brothers. One, I did know. My oldest brother was six years old and he was hit by a truck on the highway right there and killed, but my other brother, yeah I knew, he, he died in 1963. CHASE TRAUTWEIN: OK, so you were born and grew up in Rosedale, then. BARBARA POPE: Yeah. CHASE TRAUTWEIN: So growing up as a child, what was, what kind of a place was it to grow up in? BARBARA POPE: Oh, it was just beautiful. Everybody just helped everybody and it was like one big happy family and at that time it was houses and people everywhere over there. CHASE TRAUTWEIN: And so did you, you went to the school, Rosedale School, when you were little? BARBARA POPE: Right, I graduated in 1955. CHASE TRAUTWEIN: OK, uh, in other interviews that I've done, um, I've heard that that school, from the time you were little until high school that's where, where you went to school at. BARBARA POPE: That's where I went because they told me about the other schools that had been burned and in the churches but I started at the rock school and I completed, you know, at the rock school. CHASE TRAUTWEIN: OK, so all twelve years there? BARBARA POPE: Mmhmm. CHASE TRAUTWEIN: And what kind of a place was that like to go to school? I mean, I imagine you get to know the people really well. BARBARA POPE: Yes it was really, it was really nice. Everybody was friendly and the teachers were very nice but they were firm. You know, they didn't, didn't stand for nonsense, but then they were nice. If you needed help, they was always willing to help you, although I never, ah, fortunate, I never needed any help, because my mother, oh boy, you had to study and you had to get your lessons and then you, children had chores, or should I say, things to do. You don't hear that word anymore, chores. CHASE TRAUTWEIN: In the school-- BARBARA POPE: Well, at home. CHASE TRAUTWEIN: At home, OK. BARBARA POPE: Uh-huh, in the school you had lessons and you had to complete your homework. CHASE TRAUTWEIN: Mmhmm, so that, in addition to what you had to do at home. BARBARA POPE: At home, yeah. You had, like, we had a wood stove and my brother and I, we had to get in the coal and the wood and so we, sometimes we would swap. I would take out the ashes, he would cut the wood sometimes. I would try to chop the wood and, you know, but mostly he did it and we just helped each other and then my brother was nine years older and so he had friends that come around, playing football and basketball and he didn't want to be bothered with a little sister so he would push me off the porch so I would cry so he could go play, but mostly, when I grew up, everybody helped everybody. Everybody helped look out for other folks' children and if you needed help, they were there. It's not like now "If you need me, call me." They were there. Ah, do you understand what I'm saying? You know, one lady would come and cook, one lady would clean, one lady would tend to the children, iron, and just everybody was neighborly, was like one big happy family. On that side of the highway, they did for that side. On this side of the highway, they were neighborly for those over here, but if you needed something, they still would cross the highway. We used to say the highway was the dividing point. CHASE TRAUTWEIN: Right, yeah. And it really kind of is because it goes, I mean it goes right down the middle and splits it in two and uh, I was looking at some old maps on the Birmingham Public Library, that they have from all different years and you can see where Twenty-fifth Court South, where it went, or would have gone, and then, you know, Eighteenth Street is like that and uh, so do you remember what it was like before Eighteenth, or the highway, came through? BARBARA POPE: No, the highway was always there. CHASE TRAUTWEIN: Was always there, OK. BARBARA POPE: But you know, it's been some changes in the ah, like Twenty-Sixth Avenue where Doug stay. That was Twenty-Sixth Avenue. We called it Warner Street and it ended on Eighteen Place and then but Twenty-Sixth now, it comes all the way over on this side and Twenty-seventh, it comes on this side, you know, but it was, it was just such a beautiful place to raise a family. Everybody was just helpful to everybody else and then we had the ball diamond. We had games on Sundays and that was our entertainment, you know, and the young kids would play the elderly people or the young men would play the old men and it was, it was a lot of fun. CHASE TRAUTWEIN: Yeah Mr., uh, Ramsey, Will Ramsey, he came in for the, uh, reunion, class reunion last week and I interviewed him and him and Ms. Jones were telling me about the ball diamond. BARBARA POPE: Oh yeah. CHASE TRAUTWEIN: And they said that was just a heart of the community. BARBARA POPE: They even had a couple of graduating classes there and we used to play ball. It was really a form of entertainment. CHASE TRAUTWEIN: And so that was where the, the highway-- BARBARA POPE: The freeway is now. CHASE TRAUTWEIN: --freeway went over. OK. And uh, another thing that, you know, mentioning the schools and the, uh, the places like the ball diamond, these big fixtures of the neighborhood, another one that came up were the churches. BARBARA POPE: Yeah. CHASE TRAUTWEIN: And so have the churches always played a big role in Rosedale? BARBARA POPE: Yes, a long time ago it was a lot of people here and so the churches were always filled, but like now, some of the people, well a lot of people move. They left years ago looking for better jobs. They went north and west and they didn't realize they was leaving a beautiful heritage, but it, you can't blame them for looking for a better life, but it's a small community now, compared to what it used to be, because they had houses everywhere then. Everywhere, and I do mean, everywhere. CHASE TRAUTWEIN: So this house here on Central Avenue, how, how long have you been in this house? BARBARA POPE: You would ask me that. CHASE TRAUTWEIN: (laughs) You can skip if you want. BARBARA POPE: I think we was here in '65. On Nineteenth Place, they, well I should say the city council just said that if your home burned or anything you couldn't replace it and a lot of people were moving so this was Mr. Lee's daughter's house and she always had said if she moved from Rosedale, my mother would have the first choice so we swapped property and that's how we came from Nineteenth Place over here, so it's been about fifty years or more. '65, you young, you count it. CHASE TRAUTWEIN: I'll add it up later (laughs). So you had mentioned Mr. Lee and that was Mr. Afton, Afton Lee? BARBARA POPE: That was his daughter. CHASE TRAUTWEIN: OK, his daughter. BARBARA POPE: That we swapped properties but my family was close to the Lees. My grandfather taught Mr. Damon Lee how to keep his records and his books. CHASE TRAUTWEIN: Really? BARBARA POPE: Mmhmm and my grandfather used to, after he retired, he used to draw and make invitations for the rich people, because he could write so pretty. CHASE TRAUTWEIN: So like calligraphy? BARBARA POPE: Mmhmm and he made a lot of money doing that too. CHASE TRAUTWEIN: That's pretty interesting, because nowadays people just print them and you think, you think of the time it would take to, to write those. BARBARA POPE: I had, I had something my grandfather had written, I have to find it, and it was so pretty, but you know, the changes down through the years, you know, boarding technology came about and people started using the printing machines at the printing companies, you know, and my grandfather died at eighty-eight, so, in fifty, I came out of school May '55 and he died September, no he died December '55, so you know. CHASE TRAUTWEIN: Yeah a lot's changed since then. BARBARA POPE: Oh my goodness, yes. CHASE TRAUTWEIN: Uh, you had mentioned places like the ball diamond where a lot of people would come together. Do you have any memories of things like picnics or parades or um, things like that? BARBARA POPE: Well during the school, school years, we had parades and picnics where we used to go to Spring Park, I think they call it Griffin Park, but it's Spring Park that's right up here on Central and they used it to, it was the creek there, they used to swim in that then. In later years they had a pool there, but then they closed it, but then, yeah people used to go on picnics and hay rides and they would go to places like Leeds and Hobson City and I can't remember, but you know. CHASE TRAUTWEIN: OK, um, Ms. Jones was telling me about something called, uh, May Day, at the school? BARBARA POPE: Oh yeah, that was the school, you had, the kids would dress up, you would square dance, plait the May pole, and you did different things on May Day. That was in school, that was wonderful. CHASE TRAUTWEIN: So you took part in May Day? BARBARA POPE: Oh yes, yes, yes. Square dancing. It was, my play sister and two, it was four of us, we used to go all over Jefferson County doing square dancing, you know. It was fun. CHASE TRAUTWEIN: It sounds like fun. BARBARA POPE: It was and you don't see that anymore. Well you might see it on, what is that, Nashville TV show? You might see some square dancing. CHASE TRAUTWEIN: Yeah, yeah my parents love that show. They say "It comes on tonight, we can't miss it." (laughs) BARBARA POPE: It's something, but it was a lot of fun. We had the ice house and you had to buy blocks of ice and we would take the string and put down in a Coke-Cola bottle and make dolls and the string you would take it and take it a loose and curl it, braid it, you know, for little dolls and we used our imagination for a lot of things and we jumped rope, hopscotch, hide and go seek, those were big games that we had to play and we never spinned the bottle then. That came about later years. With these kids, they don't know anything about hopscotch and shooting marbles and things like that. CHASE TRAUTWEIN: So all the kids in the neighborhood, I mean, you knew just not, you know, not only the people on your street or on your block, but everyone? BARBARA POPE: Just about, you knew just about everybody. Even that side knew this side, because the parents would send you if, for instance, we had pecans and the lady next door had figs and we would trade. They would send the children across the highway. Up on the hill, the lady made rolls, she would send rolls on that side and we would send whatever and God knows, the old lady didn't need nobody to kill a hog. They divided that hog as far as it would go, you know, or should I say a pig, or whatever you say, and they just helped each other. It was such a beautiful place to grow up, you know. CHASE TRAUTWEIN: Yeah, so a real close knit place. That's what Dr. Clapp was telling me, that when he first moved in, that his restroom in his house was not all that great, so he would, he said that he would, you know, sometimes use Ms. Stewart's-- BARBARA POPE: Lisa, uh-huh. CHASE TRAUTWEIN: And that she would use his freezer, so they helped each other out, even today, you know. BARBARA POPE: Well now, like now, it's a lot of newcomers, but the old people that have descendants in here, they're still close and once you get to know the newcomers, you know, it's OK. Now we have a lot Mexicans in here. The ones on the corner, when they pass my house, they speak, and some people say they don't speak, but there's a little girl down there, she is so pretty and I just say "Hey, pretty girl." I say "Let me have your pocketbook" and she says "No." I said "You need money in it." She says "Yes." CHASE TRAUTWEIN: (laughs) "Well OK then!" BARBARA POPE: And it's a better relationship with the whites now although down on Nineteenth Place we didn't have any problems because when I was coming up it wasn't but a few on Twenty-eighth, you know, because Rosedale went all the way back up to, what is that, Oxmoor now? CHASE TRAUTWEIN: Yeah, mhmm, yeah, because that's, uh, they were saying that it went all the way down to Oxmoor where, um, where they called it, where the star would be, the star that they would have on the Christmas parade? BARBARA POPE: Uh-huh Eighteenth Street, that's Eighteenth Street up the hill, but it was, it was such a beautiful place. We had markets, um, cleaners, we had everything but a police department and a fire department, but of course we used, when I was born, it was Homewood because Rosedale and Edgewood merged to become Homewood but we always said Rosedale, so, we still say Rosedale. CHASE TRAUTWEIN: Yeah, it's still kept its separate identity? BARBARA POPE: Mmhmm. CHASE TRAUTWEIN: And you mentioned the things like the stores and places like that, uh... BARBARA POPE: Barber shops and coal yards and whatever. CHASE TRAUTWEIN: So y'all had, because I know, I think Mr. Lee, he had a grocery store? BARBARA POPE: Yes. CHASE TRAUTWEIN: Were there other stores? BARBARA POPE: Ah, Mr. Montgomery, E.P. had a grocery store right behind Mr. Lee's and his brothers had a grocery store right around the corner there on Twenty-Sixth, so, and then Reverend Allen, on the highway, had a candy store. That was interesting, you know. CHASE TRAUTWEIN: (laughs) Go there and get something, something sweet. BARBARA POPE: You'd be surprised what you would get for a nickel. All the cookies, you know, and the candy, it was, it was just, then we had the market, a vegetable market across the street, then it became a filling station, then it became a market, then it became another filling station, and then Jo Jo's moved over here, then we had the roundhouse and you used to just go to places and you know, then we had Don's drug store, Piggly Wiggly was on this street and we had a hill store, we had an A and P up the hill, I can't remember everything up there, but Shide's, well they call it Shades now, Old Man Shides used to come around in the wagon with the horse and wagon selling materials and canned goods and I can remember when they built that store but I can't remember the year, but I remember him coming around selling merchandise on the wagon. CHASE TRAUTWEIN: Coming from house to house? BARBARA POPE: Yeah just going up and down the street, you know. I remember that and we had the milkman and then, then they had, they had an icehouse right there because my grandfather picked up the ice and my brother thought it was time to cross the street and he ran out there and the truck hit him. Then they had an icehouse up on, I guess that's what you call Oxmoor now. I remember a lot of stores and filling stations and the people, the cleaners, and the first in-house restaurant was Ms. Karen, Ms. Johnson, right up on the end of Twenty-sixth and the highway and they had this little room on the front and you go in there and it was a cafe. I was a little girl, I remember that. CHASE TRAUTWEIN: So you could go to those people's house and eat? BARBARA POPE: Well she had, in the front room it was like a restaurant. She cooked food and you bought it. It was good too. CHASE TRAUTWEIN: Oh I bet. Good home-cooked food. BARBARA POPE: Then they had Miller's Grill and had the best frank sandwiches, you know, his daughter and I were in the same classes, she would go, you know we weren't allowed to go in there, but the daughter could go in because it was her father's and we would by frank sandwiches and they would be so good, but it's, it's a lot that's really changed in Rosedale. A lot of people left, a lot of people have died out and it's not as many, you know. CHASE TRAUTWEIN: Yeah, not as many land and property. BARBARA POPE: People, the houses cost, it used to be houses across the street and around the corner it was so many houses on that property right there. Five in the front, five in the back, you know, little houses and every, it was just, just nice. CHASE TRAUTWEIN: Yeah and a lot of the houses are something like eighty, ninety years old? BARBARA POPE: Well this house is so old because this was a three-room and, uh, Myrtle, Mr. Lee's, Old Man Lee's granddaughter, she added two and we added one. CHASE TRAUTWEIN: I've heard that, I was reading in the, um, the registry, the, for historic places for Rosedale, that a lot of the shotgun houses are real old and still standing. BARBARA POPE: Oh yeah and my uncle built a lot of houses out here, he and his father-in-law. Like this one and that one but they, they redid that one next door some and there was houses, oh they were just everywhere. CHASE TRAUTWEIN: And a lot of them are still, still standing today, pretty old. So over the years, you had mentioned that a lot of people have moved or died out from Rosedale, are there other things that you think have brought changes to Rosedale, like the highway or Red Mountain expressway? BARBARA POPE: Well yeah. Yeah, Red Mountain expressway, yeah, that moved a lot of houses and the, like the old ball diamond, and, I was trying to think, we used to call it Bar Twenty. There's businesses around there that, I don't know how to make you know. 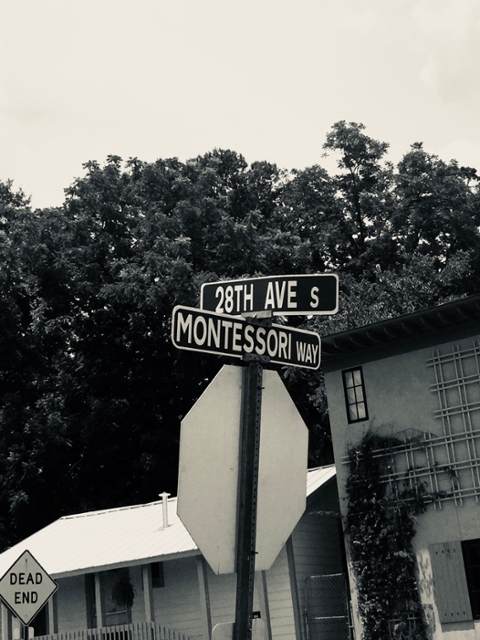 Twenty-eighth Avenue, you know Twenty-eighth Avenue, right there, well when you go all the way down to the light where you turn to go up Red Mountain, right there before you got to that, there was a lot of houses. It was houses all the way around the curve, but you would see the curve from Nineteenth, where I was born on Nineteenth Place, a block over, back this way, so, then they had Fawley's store on the corner and the Fawleys lived up on Twenty-eighth and Chief Cunningham lived on Nineteenth and Twenty-eighth, and there's a book about Homewood, they had him living across the street where Demetri's is, but that's not true, he was on this side, you know, but, you know. What else you want to know? Ask me some questions. CHASE TRAUTWEIN: (laughs) I've heard about, I think it was a restaurant or a club called Fez, or Fez Place? BARBARA POPE: Yeah that's the building that's still on the corner of the highway on Twenty-sixth. He had that, it was entertainment, had a movie upstairs, at first for the black people, and then downstairs you could, one part you could play pool and one part was the restaurant. CHASE TRAUTWEIN: Mmhmm. So did you go there often or hang out there? BARBARA POPE: Well we went to the movies probably once a week, but the other part, well I did buy a couple of sandwiches and stuff. CHASE TRAUTWEIN: So a place where you could get a bite to eat and watch a movie? BARBARA POPE: And go upstairs to the movie, yeah. CHASE TRAUTWEIN: All in one spot. BARBARA POPE: At one store, but we used to could go to the movie at Homewood. That place is still there, that building. We were, blacks were upstairs, and you know, but it's still there. CHASE TRAUTWEIN: Mentioning the places where black people would go and where white people would go, um, someone had mentioned something about a wall over by Montgomery Street. BARBARA POPE: Yeah it's a wall back there. CHASE TRAUTWEIN: That separated the white and black community? BARBARA POPE: I'm trying to see if it's still there. I can't remember, but it was a wall there, but we still cut through, go up to Valley, you know. CHASE TRAUTWEIN: So was that as kids or when you were older? BARBARA POPE: Well as children. I can't remember if the wall is still there. I know there is some apartments back there and it's just, I don't know if it's still there, but it was a wall there, but I don't think anybody paid any attention to it. CHASE TRAUTWEIN: Yeah. Because that street used to be, was it called Loveless Street? BARBARA POPE: Well, uh-huh, that's B.M. Montgomery Street now, that's the last street and the wall was between, on this, on this side, you know. CHASE TRAUTWEIN: And, uh, that's named after, because B.M. Montgomery, he was the-- BARBARA POPE: Principal. CHASE TRAUTWEIN: --principal of the school. BARBARA POPE: For years, years, and years. CHASE TRAUTWEIN: So did you know Mr. Montgomery? BARBARA POPE: Sure! Oh, did I know him? CHASE TRAUTWEIN: (laughs) You weren't called to the principal's office were you? Uh-oh! BARBARA POPE: Fighting. You wasn't supposed to know that. Oh yeah. Well then I had to go too because my grandfather was sick and blind and my play sister and I had a pass to come home every day to feed him lunch and to clean him, had he used the bathroom, you know, because he was bedridden and blind. CHASE TRAUTWEIN: So then you could leave school and help him. BARBARA POPE: Yeah we had one hour, to come home, feed him, clean him, and go back. CHASE TRAUTWEIN: So that's something that's real seldom too, because I mean, school's nowadays, you know, things like "OK you can't, you can't leave the building" and all this stuff. BARBARA POPE: Well we, I think I was in the eleventh and twelfth grade because he died right after I finished high school and so they were nice about doing that. CHASE TRAUTWEIN: Yeah that's real, real good that they could do that. And you could just walk from home to school or from home to anywhere? BARBARA POPE: Yeah, we, did you think we had cars or not? We had bicycles, but we walked from school, you know, on Nineteenth Place up the hill, and we had one girl in our class and this, well I shouldn't say that, she never lost a pound. I didn't get big until I stopped smoking in '97 and I blew up like a Christmas tree. CHASE TRAUTWEIN: But uh, I imagine that can be, you know, convenient, being able to walk everywhere. You ain't got to worry about parking or gas. BARBARA POPE: Well no, when we went downtown, we caught the bus. CHASE TRAUTWEIN: OK, so like downtown Birmingham? BARBARA POPE: Birmingham, mmhmm. CHASE TRAUTWEIN: And then y'all would go over the mountain and everything, so did y'all do that, uh, pretty often or was that something that was rare, going downtown? BARBARA POPE: Well, it wasn't that often, but it wasn't rare either and sometimes my brother's wife worked at, it was Hillman then, and we would walk over the mountain and save a dime and buy cinnamon with it. It was fun walking over the mountain, but you didn't have to. We just did it because we wanted to save a dime and buy ice cream or cinnamon rolls, you know, but it was fun and we used to walk and skate to Southtown Projects. CHASE TRAUTWEIN: Really? BARBARA POPE: Yeah, ride bicycles over and coming down the mountain skating, my skates came a loose. CHASE TRAUTWEIN: Uh-oh. BARBARA POPE: And on the way to stop I had to go into the post and it was a body shock... (laughs) CHASE TRAUTWEIN: You can say as much or as little as you want to, so. BARBARA POPE: Well I don't want to use the word that man said. "She done tore her blank blank now." Man I hit that pole so, I ended up in the hospital but I haven't been on a pair of skates since, except roller skates, you know, you go roller skating with your children, but Lord have mercy that was a day. CHASE TRAUTWEIN: I bet. BARBARA POPE: I did tear my mmhmm-mmhmm. CHASE TRAUTWEIN: I imagine, because... BARBARA POPE: But, see, I was a tomboy anyway, because all, my mother just had three biological children but a lot of people stayed with us and I had all these boys and when my brother was old enough and he was married, he was a brick mason and sometimes three of them would spend the night with us for weeks when they had jobs and they taught us how to fight and everything and (laughs) we thought we were bad, but man it was something else though. It was, it was, I don't know. Growing up over here was just, it was just an experience that you can't really make anybody understand and I look at the children nowadays. They don't get out and play. We all had the street blocked off with the little teams, we would practice and I had girls' teams and little boys' teams and I had, I played on a team and it was fun! Now you don't see kids, they on computers or the games or what do you call those things? CHASE TRAUTWEIN: Oh yeah on their phones. BARBARA POPE: On TV, the games, you know, what they... CHASE TRAUTWEIN: The, uh... BARBARA POPE: Like the Wii. CHASE TRAUTWEIN: Yeah. BARBARA POPE: And, you know, you don't see them out playing like we did. We had fun. We enjoyed childhood growing up. CHASE TRAUTWEIN: What kind of, what kind of sports did you play? BARBARA POPE: I played softball. I played baseball. We played football, the women did, the girls did, and even after I was grown and had my children, they would come up and say "Ms. Barbara, we need another man." I would go out and play and wrestle. It's probably why I'm so broke down now. But no, I had back surgery and I fell and I messed up my back and it's just painful now, but we played everything, basketball. I worked in recreation and before then, we just did it, you know. We played football one time with a tin can. That didn't work. CHASE TRAUTWEIN: (laughs) BARBARA POPE: Why you laughing? CHASE TRAUTWEIN: I can, well, the picture that's in my mind. BARBARA POPE: That didn't work, so we had to get a ball, but we had, we had so much fun, we did. And then we lied to go to the Center, to a dance, you know. We would get one milk bottle and it was about five of us on Nineteenth Place, we'd get the one milk bottle, and "Can so and so run to the store with us? Can so and so go to the store?" We would run up to the Center dance one time, run home, nobody seen any milk, but that, we just did things, we had fun, you know. CHASE TRAUTWEIN: Yeah, the, you said you had played basketball? BARBARA POPE: Yeah. CHASE TRAUTWEIN: Did you play up at the school? BARBARA POPE: Rosedale, Lee Center now. CHASE TRAUTWEIN: Or at the Lee Center? BARBARA POPE: We played in school too. CHASE TRAUTWEIN: Because I had heard that the inside was pretty small. BARBARA POPE: It was. CHASE TRAUTWEIN: That it was crowded. BARBARA POPE: And see at first, before we got a gym, it was a wood barrier, a wood, what do you call that? Around, surrounded, and you played inside, then the parents got together, then they had the Center. Well we got the building behind the school first and then we played in there. Then they had the Center, well it's the Lee Center now. It was Rosedale Center. Excuse me, then we played there and then we played softball and baseball down on the ball diamond, then in the later years, we had Wednesdays and Saturdays at Homewood Park, but now, it's no separation like they used, whatever team you had, whatever schedule you could do, you could do it, so, but I quit, my little girls didn't lose a game in three years, I said "Oh, I'm stopping while I'm ahead." CHASE TRAUTWEIN: So go out on a high note, right? BARBARA POPE: Right. CHASE TRAUTWEIN: That was smart. BARBARA POPE: I think so too and plus, I was getting old too, but we had fun, we, it was, the little umpires used to say they wished they could have us as a team, the women. Oh we played ball, we played ball. We would cook. I was divorced though, but we had some that was married, we would tell them "Cook your husbands dinner the night before" so you wouldn't be late for the game and we did and we would sit in my backyard, we would... have a couple of beers, sometimes we would barbecue after a game. We had so much fun. It was just, it's hard to describe, because everybody was together, even the ones that didn't play ball with us, they would come out and support us and sometimes when we would have to buy uniforms for the kids we would stop a game and sell ice cream, hot dogs, to pay for the uniforms, then when the people found out what we were doing they just donated so we could pay, so everybody was together. CHASE TRAUTWEIN: They wanted to help y'all out. BARBARA POPE: Mmhmm and the churches supported us. I remember the pastor we have now he stayed over here for twenty-three years, now going to Adamsville and he would say "I don't like for you all to leave on Sunday playing ball but bring a trophy back" and so, you know, he supported us too and it wouldn't be maybe about four people from the church and maybe four from up there and two or three from somewhere else and we would bring the trophy back. He says "I'm satisfied." I said "Phew, thank you," but you know, everybody, I guess I'm repeating myself but everybody just helped everybody and supported you in what you did and that made a difference, because even Reverend Jones was up here then before he passed, he would tell people "Don't go through Ms. Pope's ball park--" out there in the street "Go around." We would practice, you know, and we, we didn't have another field, they had taken the ball diamond, so we had to practice in the street, and he would tell them "Don't go through Ms. Pope's ball park, go around" and people would go around and we would play ball and there again, we had fun. CHASE TRAUTWEIN: Do you go to one particular church? BARBARA POPE: I go in Adamsville now. I grew up in Union. CHASE TRAUTWEIN: Union, Union... BARBARA POPE: Baptist right there. CHASE TRAUTWEIN: Baptist, OK, yeah. So growing up in that church, what was that like? BARBARA POPE: What do you mean what it was like, like going to church. The only thing I shouldn't say is, if you didn't go to church or B, what is it, BYTU or whatever it was, you couldn't go out after you got a certain age and you could date and I said "Boy when I get grown I'm not going back to..." What is it, B, Baptist Youth Training, something, you know what I'm trying to say, that we had to, you had to go to Sunday school, you had to go to church, you had to go to BYTU, whatever that was, and then if they had something that night you had to go back. Now what young girl wanted to go back in the evening? But it was nice. The people let the young people have Youth Day and let us have a say so and we used to mark the older people in there, we used to mark their prayers and the twenty-thirds. Now you know how kids were in church. The older people and the people and the amen calling and you would say "Amen" and the people look at you and you know you didn't want them to tell your momma but it was nice and reading the Bible children's stories for yourself, it wasn't until Sunday school that I learned that Moses just didn't break the Ten Commandments by going with somebody's wife, you know. You learn things in Sunday school and I said "Oh, he threw the tablets." Now I thought he committed adultery, so he wrote the Ten Commandments. I didn't know no better, until we started going to Sunday school. So now what else do you want to ask me? CHASE TRAUTWEIN: Let's see, I guess, with Rosedale and Edgewood, you know, coming together to make Homewood but Rosedale has still, you know, had sort of its own identity. BARBARA POPE: Like Edgewood say "I live in the Edgewood section of Homewood." We say we live in Rosedale, you know. CHASE TRAUTWEIN: OK, so with the different, the other neighborhoods around, like Rosedale's relationship with them, how would you describe Rosedale's relationship with Edgewood or Homewood? BARBARA POPE: Well now it's much better but back then it wasn't the greatest. You know, we, like we would say, we was the forgotten part of Homewood but now we have a mayor in there now. He calls himself my brother, I call myself his sister and he's trying to do better for the community and the one over the park, they're finally going to do something for the parks. I asked that they renovate the Center, they did, and it's a better relationship now than it used to be, because a long time ago, it was the different businesses that was with the city council that wanted to buy out and build out here and it wasn't so good for Rosedale but now they are considering us. CHASE TRAUTWEIN: That's good. BARBARA POPE: Did I answer your question? CHASE TRAUTWEIN: Yeah. BARBARA POPE: OK. CHASE TRAUTWEIN: And that's good to hear too, because I had, you know, every now and then seen in the news or read about businesses wanting to little by little come in and... BARBARA POPE: Just like Mr. Lee's, Old Man Lee's grandson is selling everything and they, it was his wish not to sell, but it's not but two of them left, two brothers and one's in California and this one here is selling everything and he's selling most of it to Mexicans and he sold most of the highway, but, ah, long time ago, they didn't want to sell and you had like hope that nobody would force you out and now that he's selling we're still trying to maintain what we have left of Rosedale, which has dwindled down a whole lot, but we still want to hold it as long as we can, like when they asked me about Rosedale I said I was born here and I hope to die here. Now I'm not ready to die right now but if the Lord calls me I got to go, but I want to die here, you know, but the relationship now is much better than what it used to be. I had my seventy-ninth birthday party in February and my little cousin came up from Atlanta and she says "Barbara, don't get mad." I said "OK." "You had a black and white party." The city councilman that represents us was there, the mayor was there, the sister to the mayor was there and I had, I have a girlfriend, she, oh she is just gorgeous, she, we call ourselves soul sisters and she says she has more soul because she eats okra and watermelons. I don't eat watermelon, and so she says "I have more soul than you." I said "OK." (laughs) So now we don't know what we're going to do if it rains because we, everybody, all of them come to my yard, except the mayor; they have to be up there, you know, to greet the other people, to see the fireworks, but if it rains, it's going to be too muddy. Although I have grass out there but it would be too wet and I got my ribs and everything ready but I don't know when I'm going to cook them, so. CHASE TRAUTWEIN: Are you talking about for Fourth of July? BARBARA POPE: Mmhmm. CHASE TRAUTWEIN: Yeah, yeah I'm hoping that, because they're saying it's supposed to rain over the weekend and go on and I thought we had enough rain last week, you know? BARBARA POPE: Because the reunion, it rained so hard Thursday night, we had very few. It rained hard Friday night but it didn't rain as hard so we had a lot and Saturday, thank God it didn't rain, for the casino trip and the country dinner and it didn't rain Sunday for the picnic, so we had a wonderful time but I'm so tired. You should have been there for our dinner we had. I don't know whether you eat... our cooking. CHASE TRAUTWEIN: I eat, oh yes. BARBARA POPE: We had collard, I cooked collard greens, I cooked turnip greens, I cooked purple hull peas, I cooked neck and bones, I baked chicken, I cooked okra, I cooked some corn bread that fell apart, I don't know what that was, but it went with the greens and stuff and so Francis cooked rice and pepper steak and we had one member that cooked corn on the cob and we had these great big sweet potatoes like you see on my porch and we bake them and cut them like in four things and we had a ball. They, they ate, the people from out of town, they really ate and enjoyed the soul food, then Sunday we had hamburgers, hotdogs, and my daughter fried fish and then I made baked beans and slaw. I was so tired. Plus, I cooked three pans of beans and picked up forty pounds of chicken wings and three bags of leg quarters from Piggly Wiggly to take to Adamsville for my pastor's anniversary and I was late getting back but I had to do it, you know. CHASE TRAUTWEIN: Forty pounds of chicken wings. BARBARA POPE: Mmhmm. CHASE TRAUTWEIN: That's a lot of chicken. BARBARA POPE: We had two churches to visit, so we wanted to feed everybody and we'd rather have too much than not enough. CHASE TRAUTWEIN: Yeah, yeah, yeah. I agree with you there because then you have people standing there with their plate and they're going "Alright, you know, I'm hungry." BARBARA POPE: Yeah we did. We had a lot of food left for Saturday night though because we cooked way too much but we gave it to everybody that wanted some and we shared. CHASE TRAUTWEIN: Yeah can't let it go to waste. BARBARA POPE: Oh no! And I cut my collard greens up real little. Oh man my hands were just so tired. CHASE TRAUTWEIN: So do y'all have a lot of people come in from out of town? BARBARA POPE: Well not as many as we normally have because a lot of them dying my age and a lot of them are sick and, you know. We had about sixty-seven or sixty-nine, well including the eight and the three (unclear). That wasn't including them. Like for the picnic. Good God. I bought two great big bags of tilapia and I bought three slabs of whiting filet and so we didn't have any left of the fish. Yes we did, we had about six pieces, I'm lying. We had about six pieces because they stayed there with my daughter. She fried every bit and the ones that stayed there, they ate the last of it, so the other people had left and we had one of the Commodores that was born here. Butch William King, we call him Butch. He came. So we had, we had a good time, but now it used to be two or three hundred but you know, the people are dying out and just like, I'm walking on an egg shell, because this whole side is in pain. Now I got to have surgery on this knee, but a lot of them are old and sick. You know, school closed in '69, even those are old now and so we have a lot of young people, we trying to, they didn't attend Rosedale, we trying to get them interested in keeping the name going, you know. CHASE TRAUTWEIN: So do you y'all do, is that reunion, is it every year or every other? BARBARA POPE: Every other. CHASE TRAUTWEIN: Every other year. That's good though that people still make it back if they can because they, I imagine it's a good feeling to see them again and catch up. BARBARA POPE: Oh my goodness, yes. Yes, yes, yes. We had one, came from New York, I had never even heard of her. She said she was transported in here from Hooper City and she's eighty-three or eighty-four, but she looked well and she had a ball. She acted just like she's been knowing us for years which was good, you know, so we were happy to have her. CHASE TRAUTWEIN: Yeah that's what Dr. Clapp was telling me that, he said it's something, you know, really rare that, you know, you have a community that is so open and welcoming because he said his introduction to it was at Bethel A.M.E. and he said one Sunday morning he just decided to visit in there and he said that he opened the door and everyone turned and looked and said "Come on in," you know, and he asked what time the service was and it was not till, I think an hour later, something like that, but they were having Sunday school and he said "Oh, I'll come back later" and they said "No, no stay and, you know, join our class" and he said, you know, not just in the church but just the whole neighborhood, you know, that he feels welcome and his family feels welcome and you don't, you know, there's so many neighborhoods nowadays where, you know, your neighbor, you may not know their name or know who they are. BARBARA POPE: This is true because my girlfriend, she lives in Powderly on Francis Avenue, a beautiful home, beautiful furniture. She come and sit on my front porch. I don't even have to clean it. It can be looking just like that. She says "I don't even know my next door neighbor." We borrow from each other and she said "You borrow an egg? You borrow milk?" I said "I'm not going to the store if I'm cooking and my neighbor's right here" and she calls me A and P and I call her Bruno's. I might need a cup of milk and three or four eggs. I don't go to the store and this is just the way we do; she can come and go in my freezer, you know. We just neighborly. CHASE TRAUTWEIN: Yeah it just makes sense too. More pleasant that way, I think. BARBARA POPE: It is and we are friendly people. Now we have a bunch, I shouldn't say a bunch, we have a few newcomers in here that, well I don't know because I don't, I probably go to the doctor, the church, and the store, that's it. And we play cards every other weekend. They call us the Golden Girls, that's to keep us out the street, you know, and I don't know them, but most of the people, especially the descendants from the old people, they are the friendliest people you want to see and they will do anything to make you feel welcome or to help you. I can't speak for the one or two newcomers because I don't know them but I'm sure if they see us they'll fit right on in, you know. CHASE TRAUTWEIN: Yeah, so I guess another question would be, you know, what, as far as Rosedale in the future, what would your hopes be of how things would continue or what do you think would happen? BARBARA POPE: That's kind of hard to say since so many businesses want to come in, but I would hope that it would still be a Rosedale and I would hope that the few vacant lots will be filled with new people, homeowners or whatever. I would hate to see it just die, since it was such a very important part of history because it was just a black neighborhood at first and then after the whites migrated too and they founded Edgewood and then they merged, but since it has such an important part of history I should say, I would hope to see it continue to be a revitalize or whatever word I'm trying to find, but I would just hope that, like, do you know Jake Collins? CHASE TRAUTWEIN: Jay Collins? BARBARA POPE: Jake. CHASE TRAUTWEIN: Jake Collins. BARBARA POPE: He wrote a book on Rosedale, he and some woman, or on Homewood. He said he would love to build up in here, he's white, and, you know, we, it doesn't make us any difference.